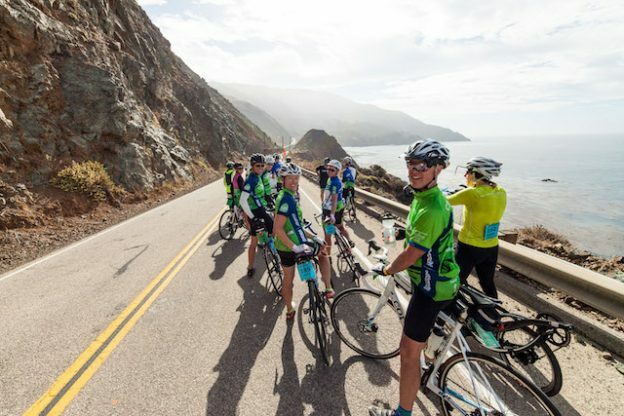 The 18th annual Arthritis Foundation’s California Coast Classic (CCC) is a fully-supported boutique tour limited to 250 riders to raise funds for the Arthritis Foundation. Ride the iconic Highway 1—from San Francisco to Los Angeles among waves, woods, and wineries—fully supported at your own pace. We ride along coastal roads and camp or hotel in areas not open to larger groups. The CCC covers over 500 miles over 8 days during the best time of year in California, September 22-29, 2018. This ride raises over $1 million dollars for the Arthritis Foundation mission. Money raised provides educational resources for adults and children, scholarships for our national Juvenile Arthritis Conference, kids’ camps and much more. · An unforgettable adventure, breathtaking views, friendships and fond memories to last a lifetime! This entry was posted in Recreational Multi-Day Tour on September 22, 2018 by anonymous.